So you wrote great content made a wonderful design and spent hours marketing for your blog yet you got no traffic. I have wrote lots of posts that point out why content is not the king, at least on its own, and in this post I will continue in revealing more blogging kings that are needed in order to have a successful blog. Self confidence: One of the main reasons I am selling more than 25 products successfully on my website(s) is that I write with confidence. People who purchase online goods never see the seller so unless he sounds confident and authoritive enough they will never make a single sale. Time management skills: In order to run A blog, market for it, write new content for it and still enjoy your life you must have extraordinary time management abilities. If you procrastinate or lack time management skills then your great blog will either take over your life or you will either give up working on it to free more time. 1. Consistent blog posts: What I was looking for here was to see how many times a week they posted to their blog and how consistent it was. Results: Most posted on a daily basis with some posting multiple times in one day. Dosh Dosh appeared to be the only one that didn’t post as regularly as the others. 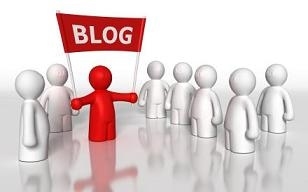 The other four blogs posted daily or every 1-2 days. 2. Quality posts: This one was difficult to measure as some people will get more value out of some posts than others. There wasn’t much else I could do but just base it on my personal view of the article and whether it was helpful or informative to me in some way. I looked at the last 10 blog posts for each blog. 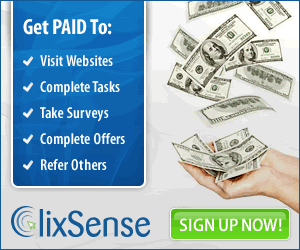 Results: All provided good quality articles with helpful and informative information. I couldn’t fault any of them on this one. 3. Responding to comments : To determine this I checked the last 10 blog posts to see if the blog owner personally responded to any comments left on their blog. Results: All of the blog owners left comments although not in a big way. Just a few comment were left here and there. 4. Newsletter: Do they offer a newsletter? Results: Interestingly enough not all of the blogs researched had a newsletter. I found this a bit of a puzzle as building an email list is one of the things that is consistently stressed by the gurus. They all have an RSS subscription sign up but no real opt-in email list. In fact, only two of them had a newsletter and they were Entrepreneurs Journey and John Chow. 5. Free Newsletter Offer: Do they provide an ebook, free ecourse, free training etc to encourage visitors to sign up? Results: Only two had any sort of free offer – Entrepreneurs Journey and John Chow – with both offering a free eBook to sign up to their newsletter. 6. Professional template: Is their template professional? This is all in the eye of the beholder of course but I think most people can pick a professional template when they see one. Results: All had a clean, professional looking template with the predominant colors being blue or red. 7. Photo: Do they provide a photo of themselves? Result: Four of the blogs researched had a photo of themselves on their homepage, About page or on a separate photo album page. I couldn’t find a photo on the Dosh Dosh blog. 8. About Us page: Do they have an About Us page? Result: All of the blogs had an About page and in most cases it was quite detailed. Yaro Starak from Entrepeneurs Journey had quite a detailed bio which was quite interesting to read. 9. Guest Writers: Do they accept guest writers? This could only be gauged by an obvious link on their home page. They may accept articles if emailed directly. Result: I couldn’t find any direct evidence that they accepted guest articles for any of the blogs researched. 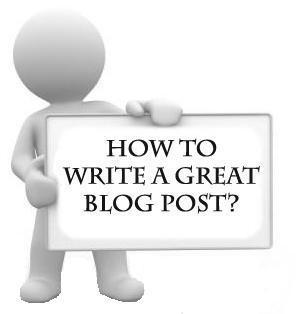 Note: After writing this blog post, Kevin Muldoon from www.bloggingtips.com advised me that each of these blogs accepts guest writers (see comments). 10. RSS Feed: Which RSS feed do they use? Result: All used Feedburner and all had the subscribe option at the very top right hand side of the screen. 11. Age of blog? Result: All of the blogs were at least 2 years old. John Chow was the oldest starting in 2000. I couldn’t find a start date for the Shoemoney blog. 12. Average number of comments per post: In my analysis I looked at the last 10 blog posts. Result: The average number of blog comments per post for all the blogs combined was 50. Problogger received the highest number of comments with an average of 63 per post. John Chow had the least with an average of 24 comments per post. 13. Dofollow blog: Are they a dofollow blog? Result: None of the blogs researched were dofollow blogs. All had the nofollow tag attached to their comments. 14. Do they use Google ads? Result: As far as I could tell only John Chow uses Google Adsense on his blog. 15. Google Pagerank: What is the blog’s pagerank? Result: The first four blogs I researched had a pagerank of 6 with only the John Chow blog having a pagerank of 3. All of this is interesting but at this point it still doesn’t tell us how to get traffic to our blog to begin with. We could follow all of the techniques of these successful blogs but if nobody knows where our blog is then we are still that little speck of dust floating around the internet….but that is for another blog post to answer.